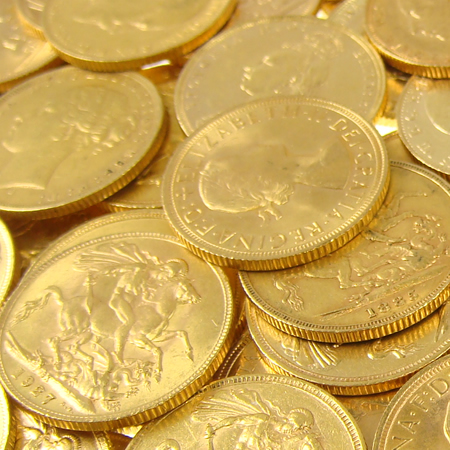 As you read this article, a standard, bullion grade gold sovereign is currently worth about £ 230.54	($ 327.18	/ € 290.63	). However, some sovereigns are worth much, much more than this. This article takes a look at some of the rarest and most valuable sovereigns that exist. 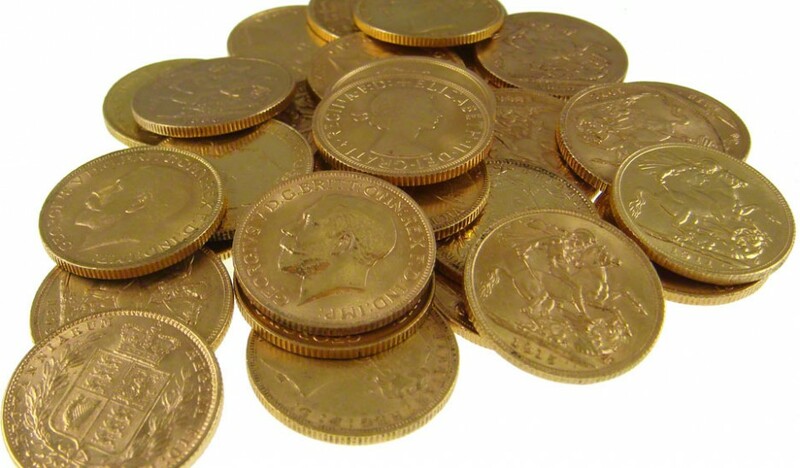 Probably the most valuable gold sovereigns are those that a collector will never have the opportunity of acquiring, regardless of their budget. 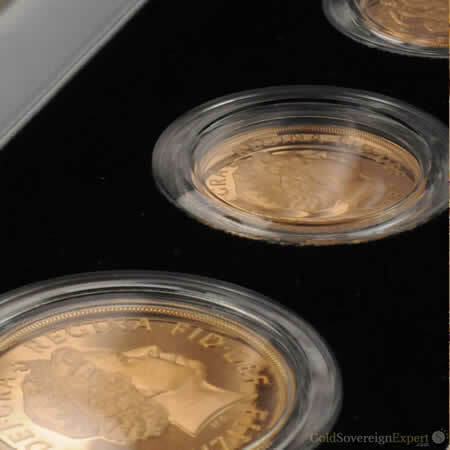 The first sovereigns struck following Queen Elizabeth II’s accession to the throne were those minted in 1953. Just three four proof coins are know to have been produced, along with accompanying Crowns, double and half-sovereigns. One set resides in the Royal Mint Museum, another with the British Museum and the final set with the Royal collection. As no set has ever been sold, it’s impossible to place a value on them. Update Jan 2015: In May 2015, St James’s Auctions will be auctioning The Park House Collection. Included in the sale is the only known 1953 Sovereign available to private buyers. 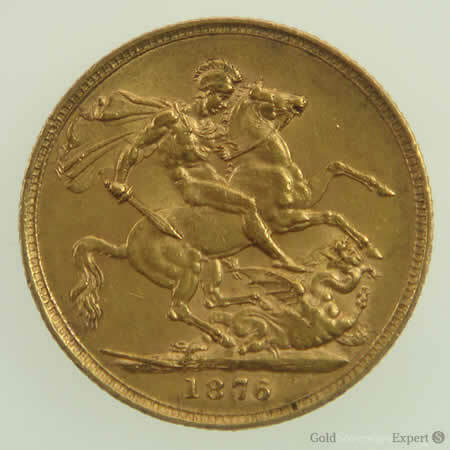 During George III’s reign in 1819, 3,574 sovereigns were struck. Although not the lowest mintage run (that accolade goes to the 1923 Pretoria mint sovereign with just 406 being struck), only 10 examples are now known to exist. As a result of their scarcity, 1819 sovereigns command huge prices when they do come up for sale, even when in relatively poor condition. On the 8th May 2013, one of the finest examples know to exist was sold at Baldwin’s auctioneers. As part of the ‘Bentley collection’, it was the star attraction of the auction and sold for a magnificent £186,000 (approx. $289,000). 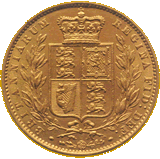 It is believed that one proof version of the 1819 sovereign exists. However, its whereabouts is currently unknown and has not been seen for over 70 years. Suffice to say, if & when it does re-appear, its value is likely to be well in excess of £250,000. When determining their value, it’s not just sovereigns that were either minted in low numbers or where few survive today that collectors are interested in. As demand grew for newly minted sovereigns around the mid 19th century, the quality control in the production of new dies began to slip and errors became more common. Sometimes, the number ‘1’ in a date would be accidentally substituted for the Roman letter ‘I’, or a number ‘4’ would be placed upside-down. Only the keen-eyed collector is likely to spot such mistakes, but when found, a minting error can significantly increase the value of a coin. Take for example the 1880 Sydney mint shield sovereign. An easily obtainable date at standard sovereign prices for its age. However, if the word ‘VICTORIA’ on the obverse (heads) side uses an upside-down letter ‘A’ instead of a ‘V’, you could be looking at a 5-figure value! 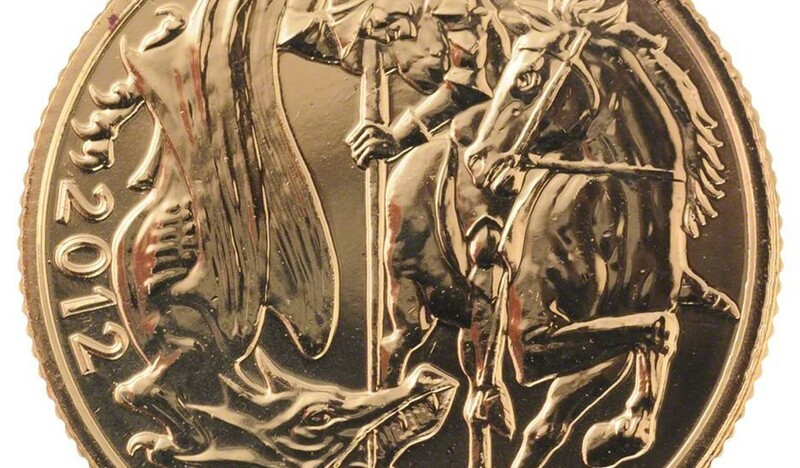 For the 2012 Queen’s Diamond Jubilee Gold Sovereign, the Royal Mint looked once again to break with the classic Pistrucci St. George and the Dragon design, and seek a new interpretation. This is only the fourth time that the iconic image has been redesigned, and the artist chosen for this rare honour was sculptor Paul Day. Born in 1967, Paul Day has become known for sculptures that are lifelike yet often incorporate an unusual sense of perspective. British-born, he studied initially at the Colchester Institute before attending the Dartington College of Arts and subsequently gaining his Degree at the Cheltenham School of Arts. Day was fortunate to start working almost immediately on leaving Cheltenham, supported by a grant from the Prince of Wales Trust. Since then his work has won several major prizes, and been awarded some significant commissions. One of Day’s best-known works in the UK is the Battle of Britain Memorial on London’s Embankment. His design won the 2002 competition to select the artist for this important commission, which was finally completed and unveiled in 2005. The Battle of Britain Memorial is an extraordinary work, where the low relief becomes three dimensional in places. As a result, the sculpture is notably dynamic and arresting – perhaps influencing the judges’ final choice of Paul Day for the Diamond Jubilee Sovereign? Similarly acclaimed was Paul Day’s work on the friezes for the Memorial to the Queen Mother, situated on the Mall. The first frieze also has a wartime narrative, showing the then Queen Elizabeth and her husband King George VI meeting and raising morale amongst Londoners who were enduring the Blitz during the Second World War. Day’s characteristic relief work, and his skill at capturing emotion, is also seen in The Meeting Place, a huge sculpture of an embracing couple standing on a bas-relief plinth, and sited on the concourse of the London Eurostar terminal at St Pancras. The couple are, allegedly, modelled on Day himself and his French wife; the artist has lived in France for several years. This modern interpretation of St George and the Dragon has divided opinion, with traditionalists rather less receptive. Other commentators have welcomed the design but expressed disappointment that it was not accompanied by a new portrait of Her Majesty for the obverse; the Mint chose to retain Ian Rank-Broadley’s design. One aspect that all experts have agreed on, however, is that as it was commissioned for one year only, the 2012 Diamond Jubilee Gold Sovereign will rapidly gain in value.